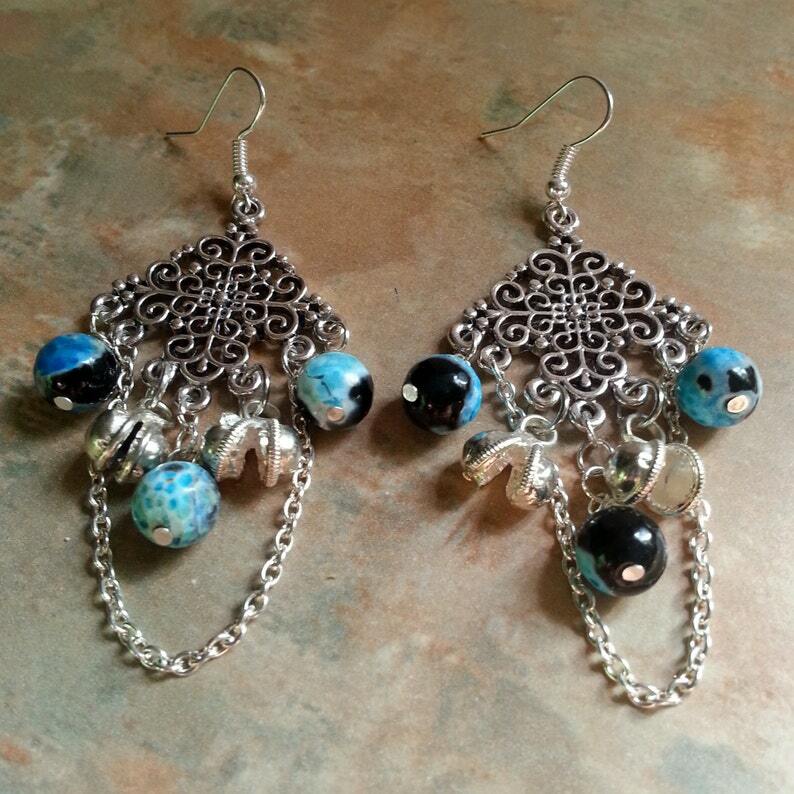 These great earrings started off with lovely antique silver earring components, to which I added pretty blue/black Blue Agate stones, which have been faceted. There are also lengths of silver chain looped from one side to the other. They were finished off with little silver bells. The earring components measure 31mm long, 28mm wide. The earrings are approx. 3 inches long.